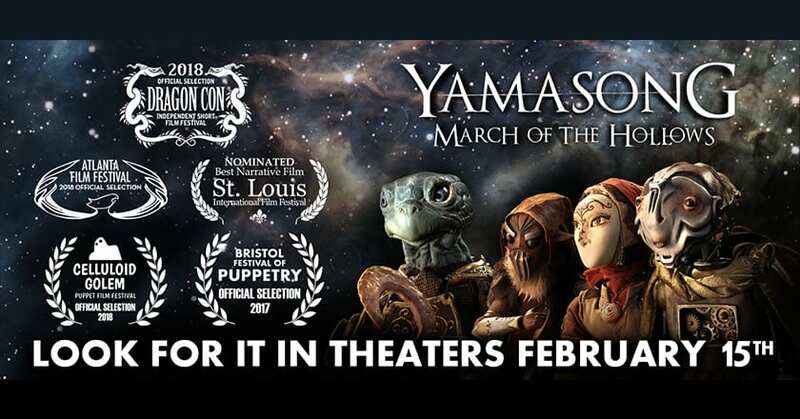 It partnership with MyCinema, we are so excited to announce that Yamasong: March of the Hollows is coming to a theater near you starting February 15th. Yamasong: March of the Hollows follows an automaton girl and tortoise warrior that journey with a band of outlaws on an incredible quest. Their one hope to defeat a sinister mechanized army and save the creatures of their world is to find a legendary relic.